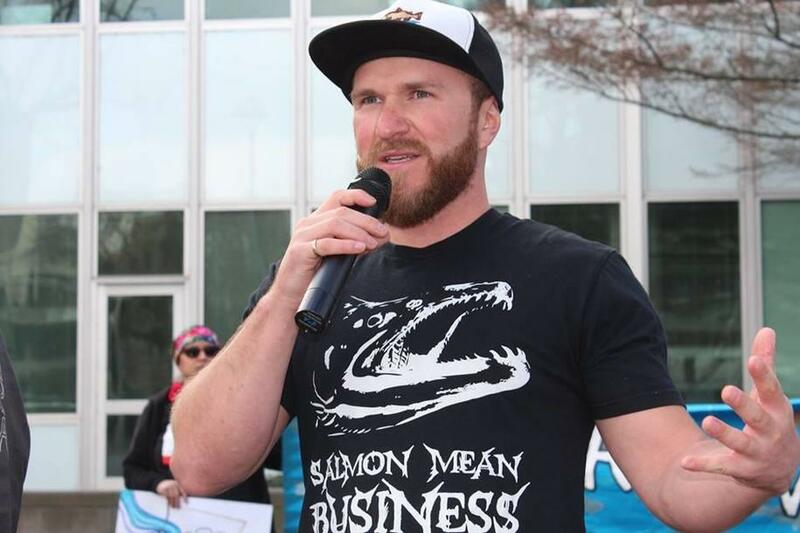 On the day before the commercial crab season was scheduled to begin on most of the California coast, the West Coast’s largest commercial fishing association filed a landmark lawsuit against Big Oil. The Pacific Coast Federation of Fishermen's Associations (PCFFA) today filed the litigation to hold 30 fossil fuel companies, including Chevron, Exxon-Mobil, BP other oil industry giants, accountable for losses caused by four straight years of fishery closures that have harmed crabbers, their businesses, their families, and local communities in California and Oregon. Oppenheim said the Dungeness crab fishery contributes hundreds of millions of dollars to the economy in Oregon and California each year. But he noted that harmful algal blooms can cause a buildup in crabs of domoic acid, a potent neurotoxin that is a health threat to people and an economic threat to the entire crab fishery. “The algal blooms and domoic acid flare-up's are linked to a warming of the Pacific Ocean knowingly caused by the fossil fuel industry,” said Oppenheim. "We're taking a stand for the captains and crew, their families, and the business owners that support the fleet," Oppenheim said. "The fossil fuel companies named in our lawsuit knowingly caused harm, and they need to be held accountable. We are seeking to implement measures, at the fossil fuel industry’s expense, that will help crabbers adapt to a world in which domoic acid flare-up's will be increasingly common, and also help those crabbers who suffer financial losses as a result." Defendants, major corporate members of the fossil fuel industry, have known for nearly a half century that unrestricted production and use of their fossil fuel products create greenhouse gas pollution that warms the planet, changes our climate, and disrupts the oceans. They have known for decades that those impacts could be catastrophic and that only a narrow window existed to take action before the consequences would be irreversible. They have nevertheless engaged in a coordinated, multi-front effort to conceal and deny their own knowledge of those threats, discredit the growing body of publicly available scientific evidence, and persistently create doubt in the minds of customers, consumers, regulators, the media, journalists, teachers, and the public about the reality and consequences of the impacts of their fossil fuel pollution. The complaint [PCFFA] represents commercial Dungeness crab harvesters and onshore crab processors and wholesalers that have suffered, and continue to suffer, substantial economic losses due to those lost fishing opportunities. The severe curtailment of the crab fishery, which is among the most productive, lucrative, and reliable fisheries on the west coast, had damaging ripple effects throughout California’s and Oregon’s fishing families and communities, creating severe hardships that many fishermen and fishing businesses, including Plaintiff’s members, have struggled to overcome. “The last three years have been really hard. Our community came together and held a fish fry to help our crew members. But fish fries and disaster relief are no solution to these closures we’re now seeing year-after-year-after year,” Beardon emphasized. A disaster relief appropriations package passed by Congress in 2018 will aid impacted crabbers, but it provides only partial relief, leaving a substantial recovery gap, according to Oppenheim. rapid testing kits that would allow crabs to be tested individually, instantly, and affordably, enabling the marketing of clean crabs even during a domoic acid flare-up. Not all areas of the California coast will open to commercial crabbing on November 15 this year, underlining the continuing impact that warming of the oceans and atmosphere have on crab fishermen. California Department of Fish and Wildlife (CDFW) Director Charlton H. Bonham has delayed the opening of the commercial Dungeness crab fishery from Bodega Head, Sonoma County north to the Sonoma/Mendocino county line, due to elevated levels of domoic acid. The commercial Dungeness crab fishery south of this area will open as scheduled on Thursday, Nov. 15. State health agencies determined that Dungeness crab in state waters from Bodega Head, Sonoma County north to the Sonoma/Mendocino county line have elevated levels of domoic acid — linked to fossil fuel companies and global warming, according to the PCFFA lawsuit — and recommended a delay of the commercial fishery in this area. “Commercial take and/or possession of Dungeness crab is prohibited in these waters. North of the Sonoma/Mendocino county line, the Dungeness crab commercial season is not scheduled to open until Dec. 1. That opener is also subject to delay pending test results both for domoic acid as well as crab quality,” according to the CDFW. Interactive timeline showing what the fossil fuel industry knew about the damage their products would cause, when they knew it, and what they did (and didn’t) do about it. It is significant that the suit was filed in a state that is one of the country’s leading oil producers, where both offshore and onshore drilling by many of the same oil oil corporations named in the suit have expanded in recent years. While state officials and the mainstream media continually portray California as the nation's "green leader," the reality is much different. In fact, Big Oil is the most powerful corporate lobby in California and the West - and the Western States Petroleum Association is the most powerful corporate lobbying organization. The inordinate influence of the oil and gas industry over California regulators is highlighted by the Brown administration’s approval of over 21,000 new oil and gas well permits, including 238 new offshore wells, over the past 7 years. The Pacific Coast Federation of Fishermen’s Associations (PCFFA)is the largest and most active trade association of commercial fishermen on the West Coast. PCFFA has led the fishing industry in protecting the rights of fishermen and fishing communities since 1976. We constantly fight for the long-term survival of commercial fishing as a productive livelihood and way of life.